If you’re an independent doctor, health advocate, medical student, health-law attorney, or a health-care business, we urge you to join the nation's leading organization dedicated to helping America's independent doctors thrive. Corporate Membership/Non-Doctor Practice - Two Year - $10,000.00 (USD) Subscription period: 2 years No automatically recurring payments Please contact us for corporate membership details. "I’ve joined a lot of professional associations over the years. Most do nothing for me. Some work against me. AID is the first association I’ve joined that actually works in my best interests." "AID’s advocacy and efforts on behalf of patients and independent physicians is evident. My AID membership is and will continue to be my most important physician advocacy group membership. Keep up the good work!" "When I learned that by joining an association that supports independent doctors, I could cut my medical malpractice premiums by over 15%, I looked for the catch. There wasn’t one. My two partners and I joined AID, then switched to Coverys. We saved $34,000 on Med-Mal premiums, got better coverage, and helped a cause I believe in." We don’t see patients. Rather, AID has a dedicated staff serving our members. With a brand in place, we are established and organized. Fighting for independent doctors is not something we do only during off hours or spare time – though we do that as well. We are a national association. 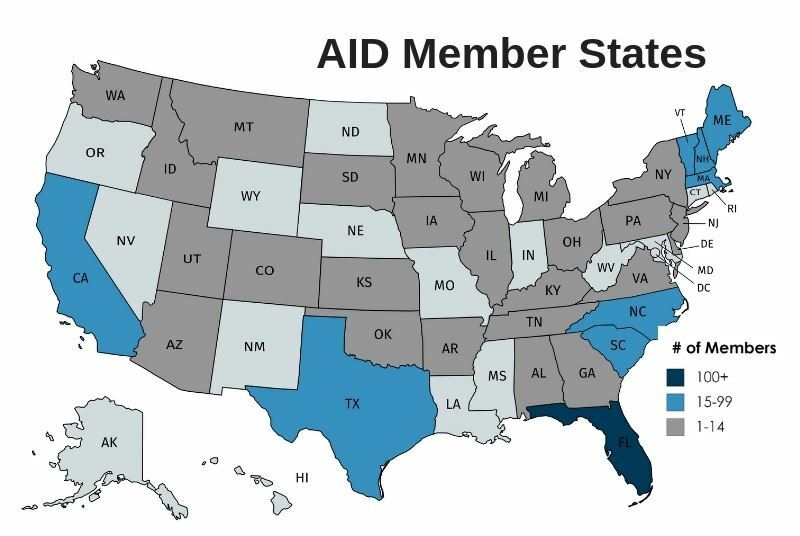 Since AID was established in Florida in 2013, more than 1000 doctors in 33 states have become paid members. Run by a former senior health reporter, AID serves as a conduit to channel the many voices of independent doctors out to mainstream and business media. We have become a primary voice for independent doctors on the national stage. And because we’re not doctors, we can say things doctors can’t. Besides speaking on Capitol Hill, working alongside many independent doctors and key lawmakers, AID has relationships with the top officials at the Federal Trade Commission and the Centers for Medicare and Medicaid Services.